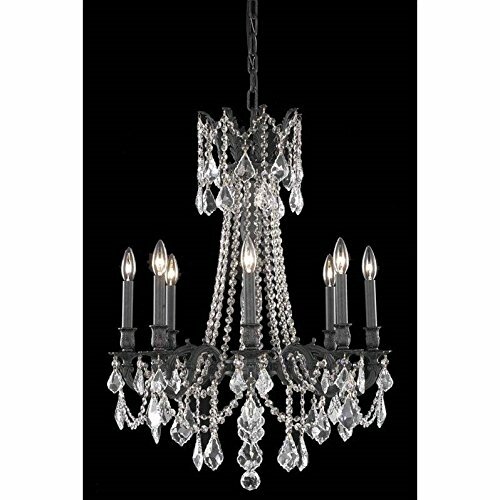 1128-CH-CL-S Finish: Chrome, Crystal Type: Swarovski Strass Features: -Chandelier.-Majestic Wood Polished: Hand cut on an iron then on a sandstone wheel; each piece is authentic and contains lead to make the crystal more reflective.-Swarovski Spectra: Precision cutting and superior light reflection; quality at an affordable price.-Swarovski Strass: Finest crystal in the world; laser cut for razor sharp cutting of facets; treated with invisible coating and contains lead to make the crystal more reflective. Includes: -Includes 3 feet of chain and 6 feet of wire. 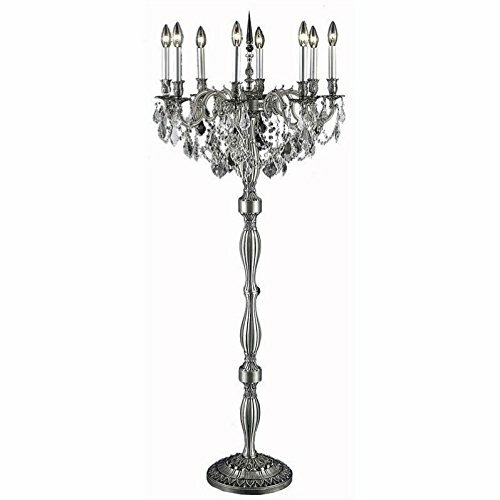 Specifications: -Accommodates (8) 60 watt candelabra base incandescent bulbs (not included). Dimensions: -Overall dimensions: 26'' H x 26'' Dia. Collection: -Bohemian Crystal Collection. 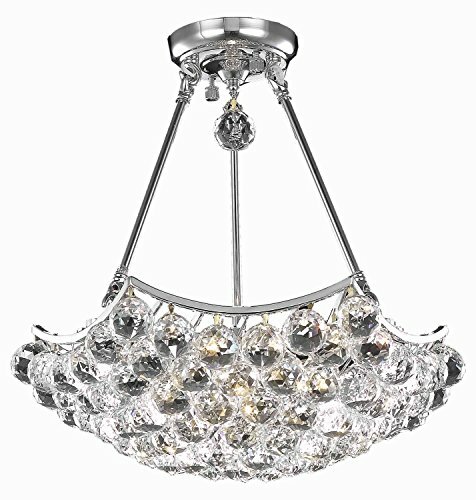 2527 Tranquil Collection Flush Mount D60in H30in Lt:48 Chrome Finish (Swarovski Strass/Elements Crystal). Add a touch of class to your home with the Tranquil Collection. Tapered layers of spear point crystal are accented with bands of emerald cut and baguette crystals. A ring of candelabra bulbs tucked inside bring this look to life. 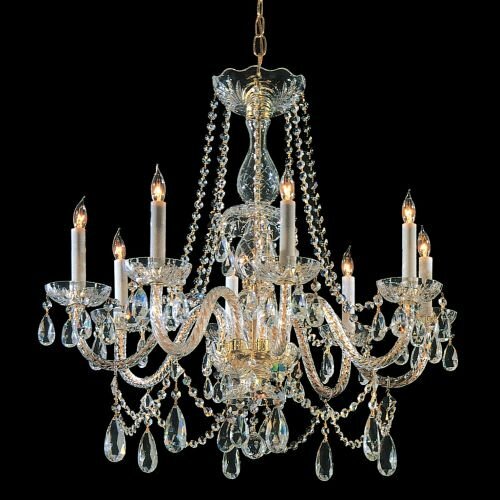 2527 Tranquil Collection Flush Mount D60in H30in Lt:48 Gold Finish (Swarovski Strass/Elements Crystal). Add a touch of class to your home with the Tranquil Collection. Tapered layers of spear point crystal are accented with bands of emerald cut and baguette crystals. A ring of candelabra bulbs tucked inside bring this look to life. 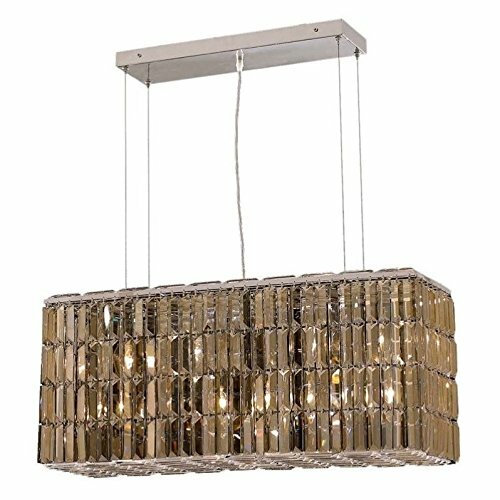 2018 Maxim Collection Hanging Fixture L32in W9in H13in Lt:8 Chrome Finish (Swarovski Strass/Elements Golden Teak Crystals). The unique design of the Maxim Collection inspires any room setting. 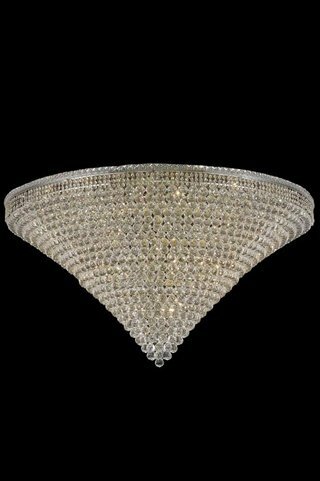 Dazzling spectacles of light sparkles throughout the fixture creating a modern, yet timeless beauty and elegance. 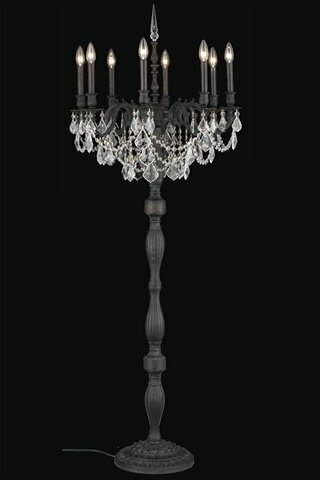 The chandeliers of the 12th century Spanish castles were the inspiration for the Esperanza Collection. Layers of cascading crystal strands dive into a deep bowl shape embellished with a profusion of more crystal strands. Ringed by highly detailed brass casting in four finishes, this collection brings a touch of the Mediterranean to any space. 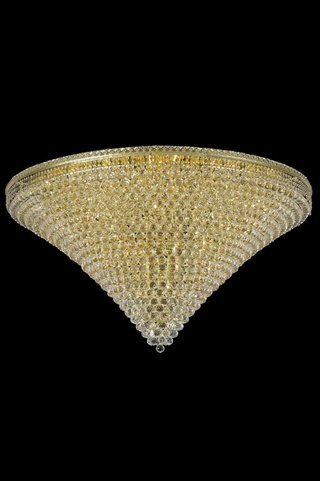 Compare prices on Eight Light Swarovski Strass Crystal at Shopsimal.com – use promo codes and coupons for best offers and deals. We work hard to get you amazing deals and collect all avail hot offers online and represent it in one place for the customers. Now our visitors can leverage benefits of big brands and heavy discounts available for that day and for famous brands.